Through the years, there have been many nice Fresh Cut reportages. But what happened with all dreams and plans? 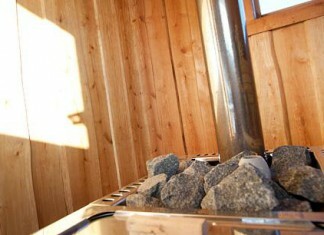 Freash Cut called the Sämberg family, who has appeared earlier in the magazine. Here is their story! 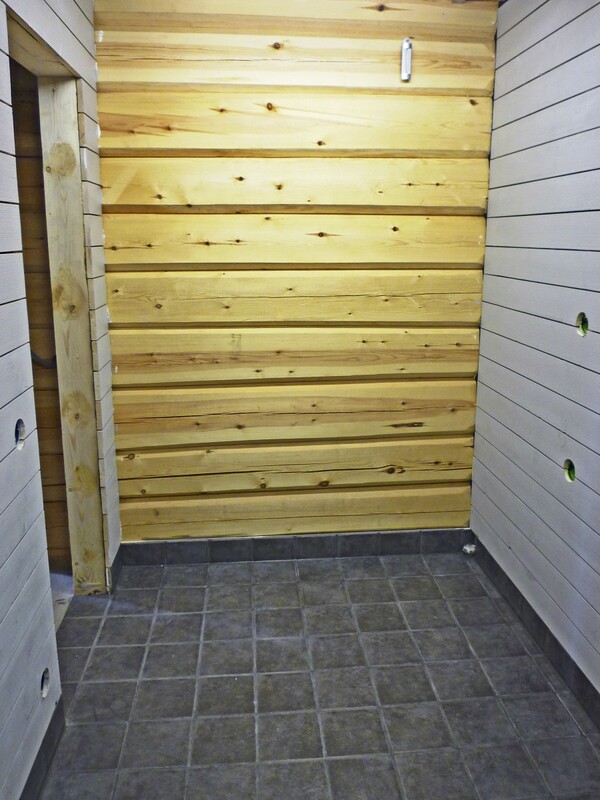 The timber from their own woodland is lying sawn and joinery-dry. The timber frame is under a roof and the joinery machines have been taken indoors so the production of windows and joinery components can begin. ”We have talked about kitchen cabinets, and maybe a bedstead. 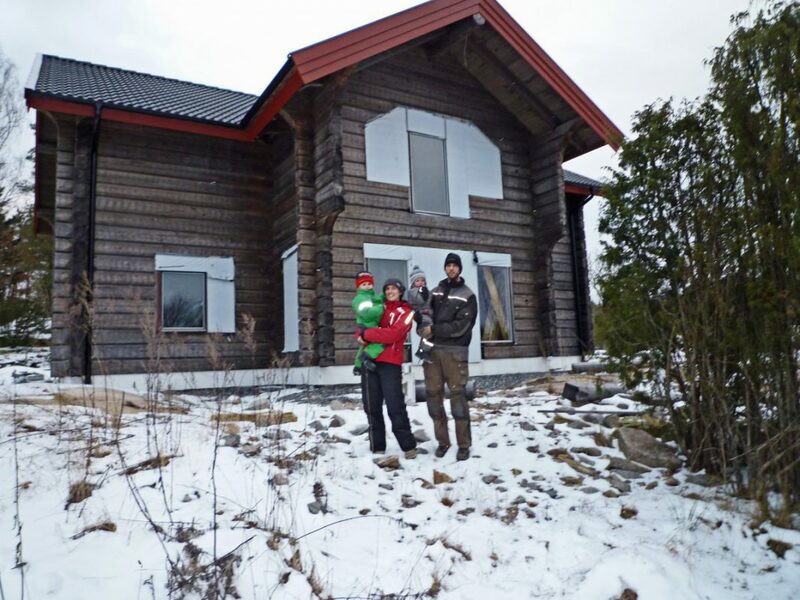 But we still have a great deal left to do before it’s time for details,” says Therese Sämberg. 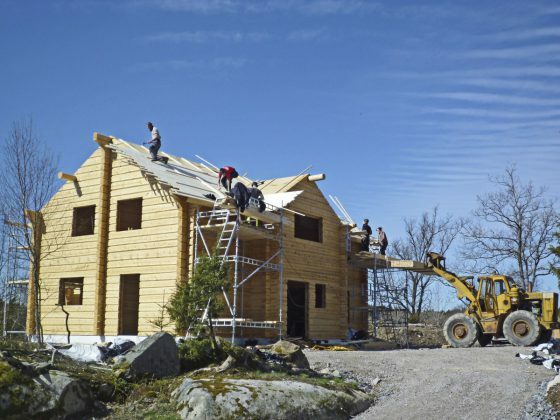 At the farm Gurseröd in northern Bohuslän in Sweden, Therese and Christian Sämberg are building their dream house in step with the small and big events of life. The couple moved there in 2005, and lives in an older house, at the same time as they are building their new one. When Fresh Cut came for a visit two years ago, the house plans were already under way. 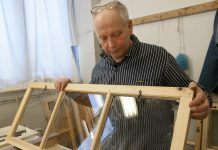 Instead of building the frame themselves, which was the original plan, they had decided to buy a ready-made timber frame and focus on their own sawing and production of windows. ”We stick to the plan. 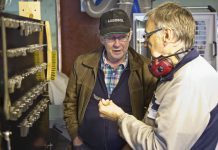 Of course, there is a financial aspect too, but by sawing and doing the joinery ourselves, we also get to know the machines that we want to use in our business. Another thing we’ve learnt as regards big building projects, is that most things take more time than you initially think. Things happen in life. Things that make you want to pause,” says Therese. The biggest event is that their son Lukas has become a big brother. Little Alfred was only two days old when the first load of timber arrived. The timber fram was erected in April, 2012. During the summer the house was painted with copperas and the roof was lain using their self-made T & G boards. The roofing tiles came in place just before winter. ”Then the house was sealed and we could relax,” Therese remember. 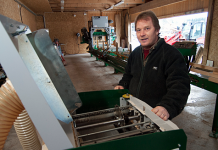 The farm has an impressive assembly of machinery with LOGOSOL’s band sawmill, two-sided planer/moulder, panel saw, jointer/planer, vertical milling machine MF30 and Sauno wood kiln. 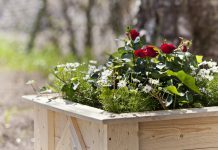 The idea is to develop their business into a fulltime occupation and themselves refine the tree of the forest into high-value products. ”We have all we need and are very happy with the machines. But replacing the twosided palner/moulder with a four-sided in the future wouldn’t be wrong. 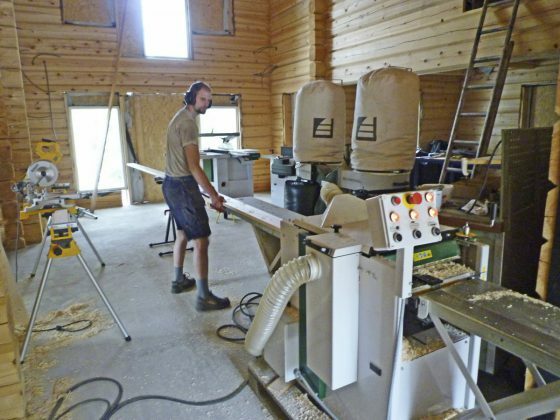 Such a machine would halve the working hours,” says Therese, who likes to work with the joinery machines. Today both Christian and Therese have full-time jobs outside the farm. They work with their company CTS Land & Forestry in their spare time. The basis of the cycle is the refining of their own forest of 212 acres where nothing goes to waste. The horses help with skidding the timber. The best logs are sawn and processed, the sawdust is used for bedding for cows and horses, and ultimately it becomes manure on the fields. The timber that is too small-sized to sell as pulpwood, becomes chips for the boiler. Recently, they built a house for the wood chips, and the newest addition among the animals on the farm is a camel that comes from Ormöga Camel Ranch on the island Öland. 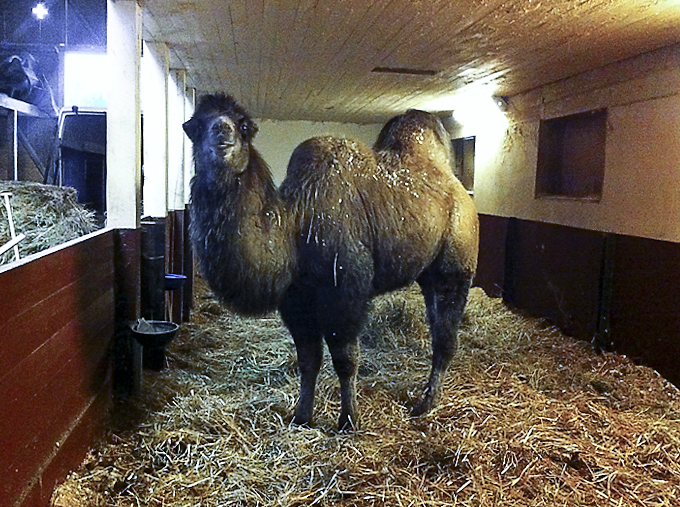 ”We had talked about getting a camel for years, and last summer we got in comtact with a breeder whom we then visited,” says Therese. The foal was brought home in December and was named Khubilai. Now the smal camel is to be tamed and settled down in the new environment.